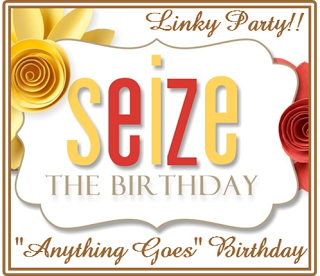 Over at Seize the Birthday this week it’s Anything Goes ! This card didn’t end up anything like the one I had pictured in my head, but hey that’s okay we just have to go wherever our creativity takes us…right? Hopefully your creativity will take you right on over to Seize the Birthday and you will show us your Birthday Cards! The sky is the limit so go for it! Also, come check out what the Design Team this week! 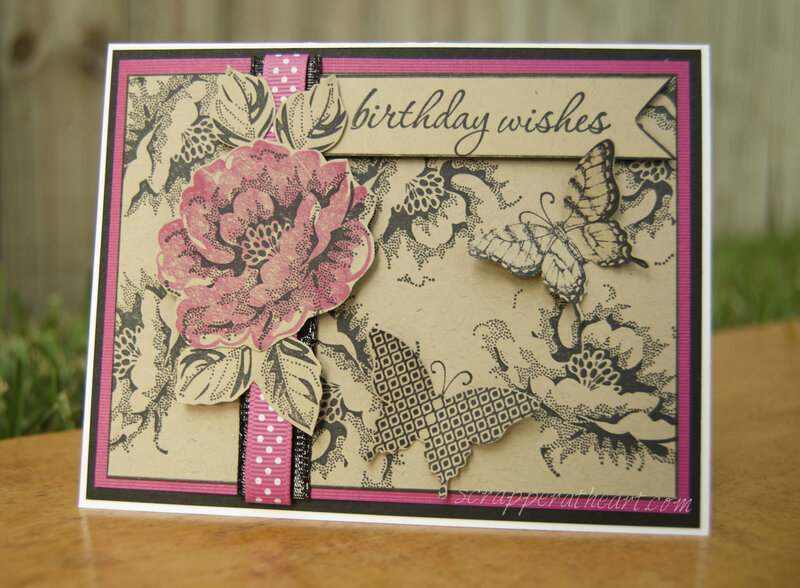 Card Details: Stamps: Stampin Up- Stippled Blossoms and Papillion Potpourri and the sentiment is from Hero Arts. Card stock and or accessories are a little of this and that! This is beautiful Nancy. Love the colors with the pretty flower and butterfly. So beautiful! I think it has a vintage look to it and I like that! Truly STUNNING, love the butterflies and the pop of color with your flower! Fab card! Awesome card — I just love that flower! Nancy, this is absolutely lovely! It just feel so vintagey and charming. Really good job! Beautiful card Nancy. Love that stamp as you can do so much with it. Love how you highlighted the rose in pink while the background is in grey. The butterflies just finish it of so nicely.